Last installment of my sister’s summer trip in Germany! So my last two weekends came and went extremely fast. Last weekend I went to Cochem, Koblenz, and Braubach. They are three cities on the Romantic Rhine where I went to see castles. They were beautiful and a great way to close my summer since I also started with going to Burg Eltz, another castle in the region. That next week just flew by. 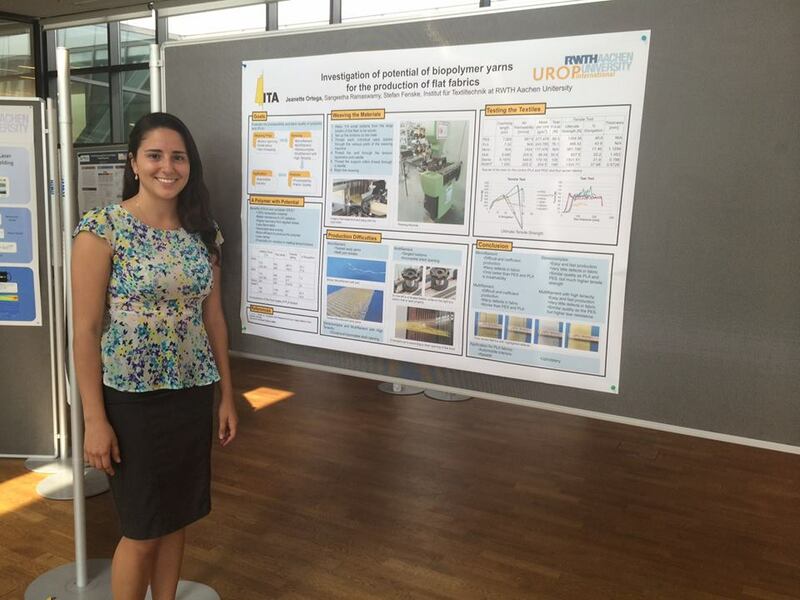 Most of it was spent finishing up my research paper and poster for the program that actually brought me to Germany. On the Friday of that week we had a colloquium where all 50 students that are in the same program as me, presented the work that they had been doing for the last 10 weeks. It was really great realizing how much I learned and how much I accomplished this summer. Later that night we had a big dinner for everyone which was a fantastic closing. It gave us all the chance to just hang out in one large group and spend time before everyone started heading home or traveling on their own. The next day would be my last day in Germany. I just kind of hung out with people not doing a whole lot all day. I walked around the city center again to just take in the Dom, went to the Lindt chocolate factory, and had a great last meal with my favorite beer. The whole day I kept getting waves of sadness that I was leaving Germany. Then there’s the German culture with the food and language. I don’t think I’ll eat another sausage for a very long time, but I gotta say, the Germans food is pretty darn good. I think the thing I ate the most is döner, which is actually originally a Turkish sandwich. They are all over Germany and are now considered authentic German street food. I also was very happy to find a German beer I like. After searching online I found that it’s generally only drunk in the winter, and if you drink it year-round, like me, then apparently you’re a strong beer lover. I don’t really know if I would say that’s a fitting description for me but I’ll take it! And last the language. I know a lot of people think that German isn’t pleasant at all and is really ugly, but I started to find that I really liked the sound of it. I think languages need some sort of harshness to them. I also really started to like the fact that they just combine words to make one long word. In that way they can convey an entire feeling with just one word instead of a whole sentence. There’s actually a word, Fernweh, that means the longing to be abroad. It’s almost like an opposite for homesickness. In English that takes a whole lot of explaining to get the idea across, but in German you can explain it all in just one breath. I think ill be feeling a lot of Fernweh in the next few weeks. It makes me really sad that my summer adventure is done, but also happy to go home to see family and friends. I’ve heard about all the things you learn when you travel and I agree with all of them. I feel like the most important thing I’ve learned is just how to be completely ok with not being able to control everything. Travel is all about just going with the flow and not freaking out completely if, for example, your train isn’t on time. You have to be flexible and open to everything around you. When you travel to a new place the goal isn’t to continue doing things in the same way you always do, instead it’s for you to adapt as much as you can and really try to understand what it’s like to be a local. I was talking to a German friend about how much I loved Germany and this is what he said to me, “Well I think you like it also because, you are an open-minded person. You tried everything, you never said no to anything, you are the kind made for such experience, that’s what makes you so interesting.” It was really special to me for someone to recognize how much I tried to assimilate and as having an open mind for new ideas and cultures. I know staying in Germany for just two months doesn’t constitute me as German, but I definitely don’t feel like a tourist. Two years ago I told my family that I was going to go to Germany this summer, and I followed through. It’s really bittersweet that I have to say goodbye to the place that became my home the last 10 weeks. There are so many things and people I will miss. My goal was to try to get something out of my experience this summer and I can be sure that Germany had so much to give, it was hard to take it all in. I have started to think about what I might do in the next couple years, and I think I’m going to follow my sister’s footsteps and return to the place that I fell in love with a couple of years previously. 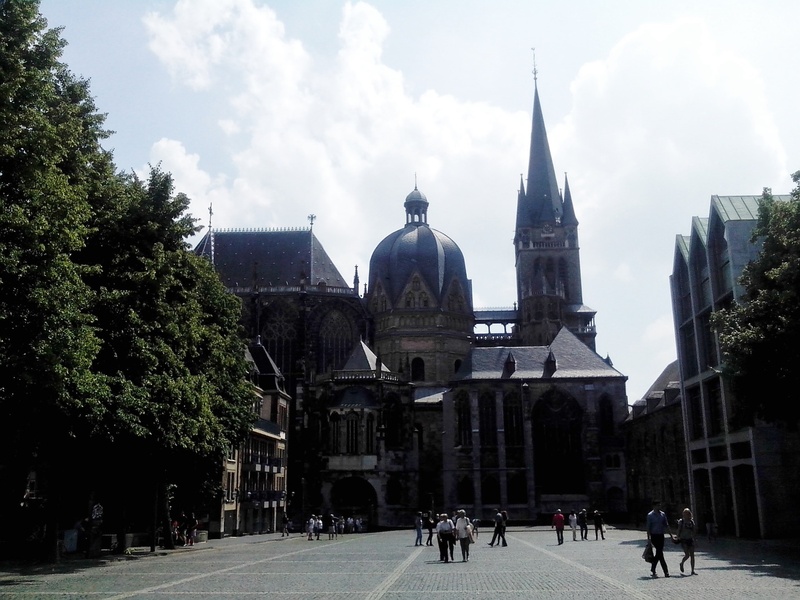 I want to either do research again in Aachen, or maybe intern with a company in another German city. It was fantastic writing these entries and keeping people posted of what I was up to but I think this is officially the last post. I’m actually at the airport right now just waiting to board my plane to head back to Miami. All I can say is “Danke schöne Deutschland” for everything you gave me. With the help of my journal and the pictures I will not forget any bit of my trip and the absolutely amazing adventures I’ve had in Europe.